Blynne Froke’s articles and lessons are found by scrolling through the list of articles or by using the navigation system on the right side of this page. Read Blynne’s Bio at this link. TOT – TRACK OUR TEACHER: Where is Blynne? Are you watching the GPS Tracker? Where is Blynne headed? AND Finally… Blynne is Back on the Trail! 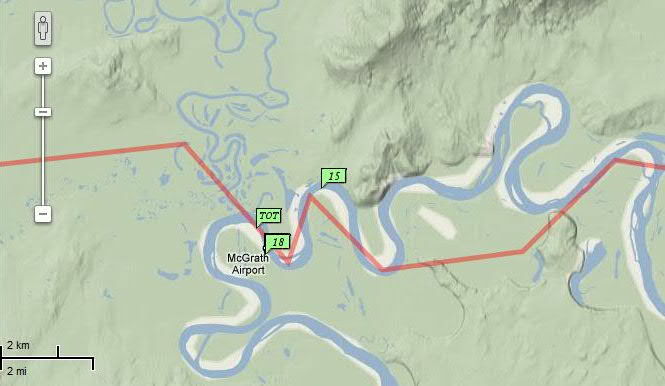 Blynne is finally back on the Iditarod Trail! After getting her ‘flying orders’ last evening (March 6) Blynne reported to the waiting area and loaded her gear into the vehicle. Several other volunteers and race staff were among the group departing for the airport. Weather plays a major role in what goes on during the race and this year, Mother Nature’s snowfall has made travel for volunteers a bit more interesting! You will be able to ‘Track Our Teacher’ (TOT) via the GPS Tracker. Look for the TOT on the map! Then check back right here for articles from Blynne! Adventure and personal challenge have always been at the top of Blynne Froke’s to do list. It seems like she has been on the go her whole life. Blynne was born in Canada and immigrated to California with her family. When he father was sent to Venezuela for work, Blynne went along to start high school. It took seventeen years and three states to complete her college education, but she never gave up, finally starting her teaching career at 35. Summer 2007 found her back in South America working with her brother in Bolivia and spring 2011 she explored China with her oldest daughter. For the last thirty years though Blynne has called rural northern California home where she raised two beautiful daughters with husband, Mike, and an ever-growing menagerie of dogs, cats, goats, chicken and ponies. An active 4H leader, Blynne and her daughter raised a guide dog, which was a very rewarding experience. After teaching English at the junior high level for almost 12 years, Blynne decided she was up for a real challenge and as is common in her life, an opportunity presented itself. Community Day School (CDS) is a contained “last chance” classroom for high school students that have been expelled. For nine years she taught everything from P.E. to Physics to British Lit. to reluctant teenagers and found it to be one of the most rewarding experiences of he teaching life. Challenge and Blynne’s new students seemed to go together like peanut butter and jelly. Her special mix of patience and passion seemed to work for many, but something more intense was needed to draw in these very needy students and she was on the search again. By chance, Blynne read a book about the Iditarod and shared it with her students. They shared her excitement. That was four years ago. What started as a half an hour read aloud turned into a cross-curricular thematic program around which the essential themes of goal-setting, planning, personal responsibility, problem solving and stewardship revolved. The mushers came alive as “Real life heroes,” in a struggle every bit as inspiring and challenging as their own struggle to graduate high school. It has found such fertile ground, that it graduated twice as many students from CDS than in previous years. Blynne has embraced challenge not only in her professional life, but in her personal life as well. What started as a whim, “a couch to 5K running club,” turned into another great passion. Four years and a hundred pounds later, she has completed two half marathons and continues to train for distance events. Last year saw more reductions in California’s education budget and following the “go where you are needed” call, Blynne returned to the high school to teach freshman and sophomore English. Maybe not so surprisingly, these classes also found an expanded curriculum using the Iditarod as students wrote up research papers on various aspects of competitive dog mushing and created cross-age teaching experiences for elementary students. These “Trail Buddies” were real heroes and are currently looking for other ways to engage elementary students in the Iditarod experience. The adventure just keeps going as Blynne looks forward to a year as Target’s® Teacher on the Iditarod Trail™ and sharing the experience of the race and the remote villages of Alaska with students and teachers across the globe. Target® is the Official Sponsor of the Iditarod Teacher on the Trail™ program. Send an email to Blynne Read Blynne’s Bio! Martha Dobson of Mount Pleasant, North Carolina is a lifelong North Carolinian, a sixth grade middle school teacher and the second North Carolina teacher to hold the Iditarod Teacher on the Trail position. Living all around North Carolina while growing up, she has resided in her small town near Charlotte, NC for 27 years with her husband, Allen, and three children, Robert, 25, Elizabeth, 22, and Sara, 18. Allen is a family physician. Robert and Elizabeth graduated college in the past year, and Sara begins her college career in the fall. A longtime Girl Scout , Martha has volunteered with her daughters’ troops since 1993 and worked as a freelance writer for a local newspaper. A graduate of Meredith College in Raleigh, North Carolina, Martha holds a bachelor of arts in psychology and a teaching certificate in elementary and middle grades education with concentrations in language arts and social studies. She enjoys horseback riding, being outdoors, travel, and reading. Her family has numerous cats and a rescued Siberian husky named Morgan. Martha returned to the classroom at Mount Pleasant Middle School eight years ago to teach English/language arts. Immediately, she was drawn to the Iditarod by her prophetic choice of a Gary Paulsen novel to teach her students. In 2005, she traveled to the Iditarod race start to be an Idita-Rider in Phil Morgan’s sled, sure that she’d never have a chance to return to The Last Frontier. That experience was the “coolest thing” she’s ever done, she says, and the Iditarod bug bit her, hard. Now she’s been to four race starts, four Iditarod teachers’ conferences, and enjoyed a summer vacation. Martha says that the Iditarod appeals to her sense of adventure and her appreciation of the unique and challenging event. Her students are intrigued by its uniqueness, too, and Martha has incorporated Iditarod in her classroom and school through lessons not only for her English classes, but classes in other grade levels and subject areas, including math, science, and technology. 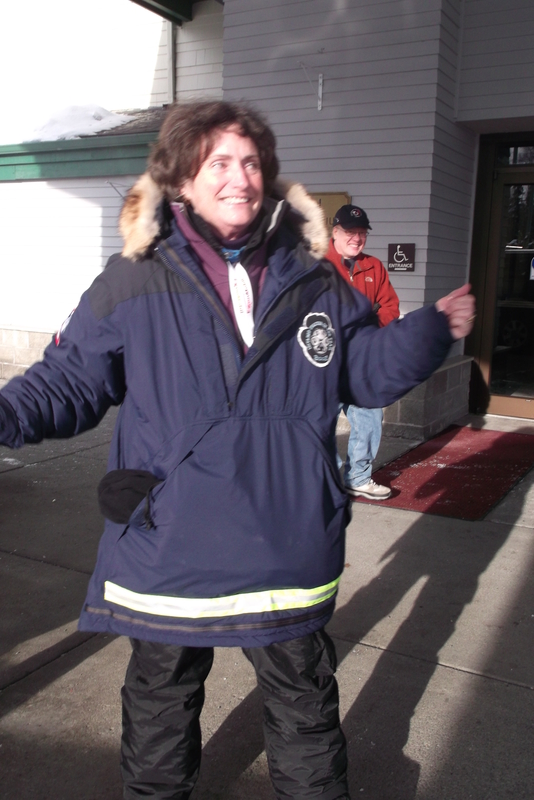 As well as being a highly motivating teaching tool, Martha says the Iditarod and her efforts to become the Target® 2011 Iditarod Teacher on the Trail™ set the example of taking advantage of opportunities in life and perseverance. “I believe that you work hard, and get what you work hard for,” she says. Never dreaming that teaching would get her to Alaska, Martha believes it’s important for everyone to “go for it” in life, whatever their dream or opportunity might be. Join Martha in her dream, crossing Alaska from Anchorage to Nome, bringing it to classrooms around the world through her lessons and messages posted here. Target® is the official sponsor for Iditarod Teacher on the Trail.™ Please visit their website and learn about their dedication to education and communities. Discover information about grants and how Target® helps children, families, schools, and communities to be more successful. 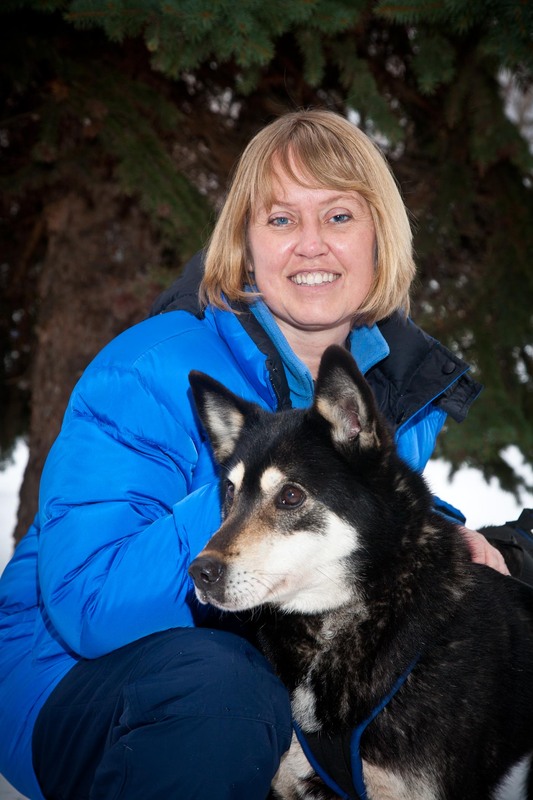 Wasilla Alaska – (May 13, 2010) – Martha Dobson, Mount Pleasant, North Carolina, has been selected as the Target® 2011 Iditarod Teacher on the Trail™. Beginning in June and throughout the next year, Martha will be creating standards aligned curriculum and developing an online journal at http://iditarodblogs.com/tott/. 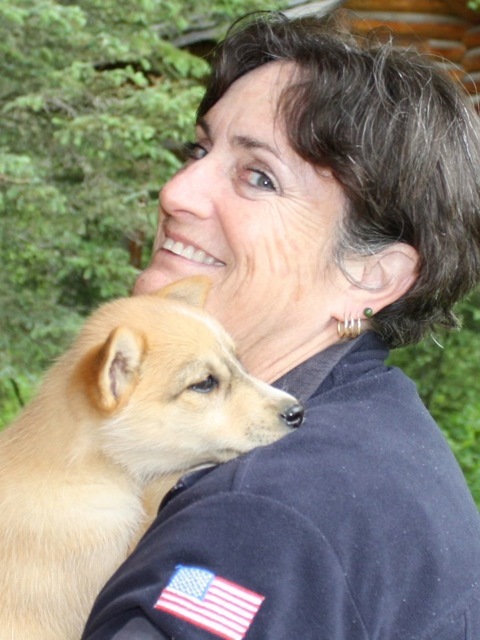 During the 2011 Iditarod Trail Sled Dog Race, Martha will be flying from checkpoint to checkpoint sharing her observations and lesson ideas via the internet to students and teachers in classrooms around the world. The Iditarod Teacher on the TrailTM program began in 1999 with an inspirational idea and has grown into a nationally acclaimed and globally followed 21st century technology project. With the support of Target® this program is able to reach out to children around the United States and the world, bringing “The Last Great Race on Earth” a little closer to their imaginations in a real-time, research based project that inspires students to read, write, and solve problems using 21st century skills.